Astaxanthin is a xanthophyll carotenoid that is present in microalgae, fungi, complex plants, seafood, flamingos and quail. Touted as the king of antioxidants, The natural Astaxanthin can be used as oral sunscreen and to reduce the appearance of wrinkles, fine lines as well as age-spots. This xanthophyll carotenoid belongs to a chemical group with a long-conjugated hydrocarbon chain. 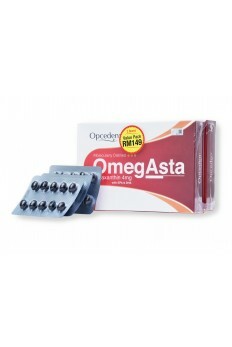 It is the structural composition which allows Astaxanthin to contribute to such wide area of health benefits. 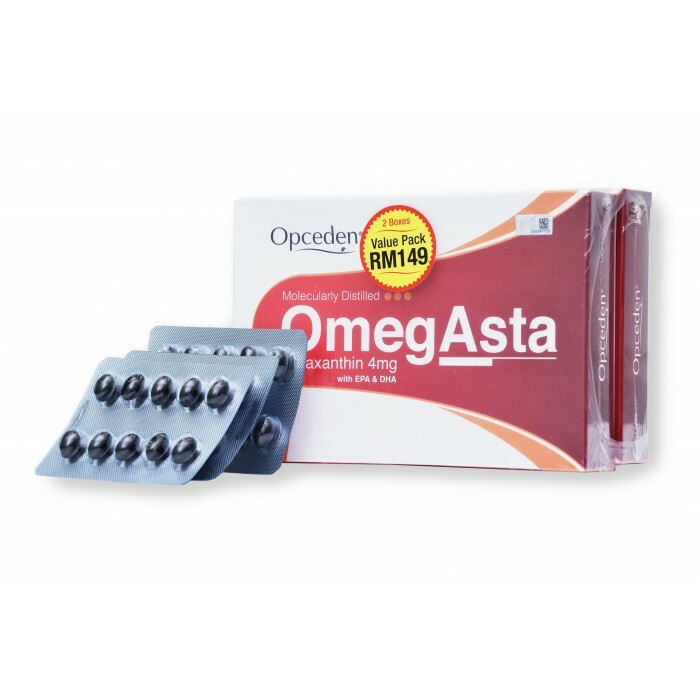 Not only Opceden OmegAsta contains ASTAREAL® which is the most studied natural Astaxanthin, it is also enriched with Omega-3 Fish Oil.